I have always enjoyed collecting eye shadows, and having fun playing with the different shades on my eyes. I have never had a problem of having to get ready quick, as I always gave myself enough time. I usually give myself at least an hour to get ready... to pluck my eyebrows, and colour coordinate my eyeshadow to my outfit. I recently came across a company: ColorOn Pro Instant Eye Shadow. I was eager to try the ColorOn Pro Eye Shadow Kit from the first time I heard about these little one-time eye shadow applicators. Though I was excited to try them I had some doubts about the application and the quality of the shadow, but I was mistaken. ColorOn Professional Instant Eye Shadow Applicators, a nifty new idea that makes eyeshadow easy for everybody. They’re simple little oval strips of shadow that come in a huge range of colors, saving you time and effort both in choosing colors for your eyes and getting it on right. Even though I love to put on my own makeup, I could definitely see the benefit in having a product do it for me, and it's perfect for beginners! I got the Best Sellers collection, which includes the color combinations: Elle, Ibiza, Laguna, Noche, and Sunset Beach. Difficulty-wise, it’s pretty goof-proof... you place the oval disc on your lash line and hold it in place. 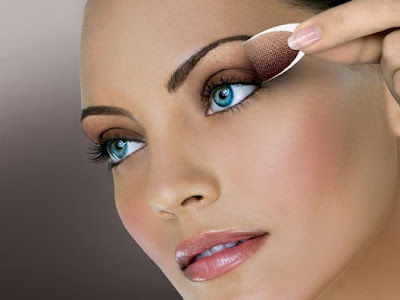 Then just pat the applicator with your finger, peel back the applicator, and blend and set the shades as you please. The result? While some of the colors look a bit unnatural, I loved Ibiza... it was warm and intense but natural looking. I also got a little jolt of happiness seeing my shadow almost entirely done in about ten seconds, and looked like it was applied by a make-up artist. ColorOn Professional Instant Eye Makeup Applicators are available at ColorOn’s website. 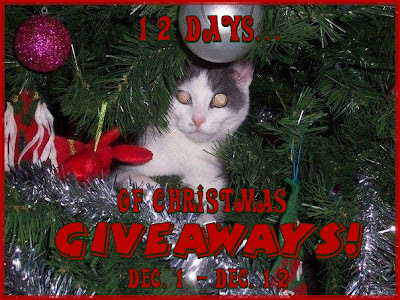 ColorOn Pro Instant Eye Shadow has sponsored my '12 Days of Christmas Giveaways'! One lucky person will get the opportunity to win their very own kit! "Win your own ColorOn Pro Instant Eye Shadow @kimmie_1980 http://tinyurl.com/2vk4e9r (12/19) #giveaway"
ColorOn Pro Instant Eye Shadow, is sponsoring my '12 Days of Christmas Giveaways' event, and offering a product to one of my readers. I did not receive any compensation or incentive nor was I required to write a positive review. Individual results or experiences may vary. I would definitely want the Cactus Flower color. I voted for your blog on the We're on the Fence site. I voted for your blog on the Top Mommy Blogs site. I voted for your blog on the Ola Momma site.